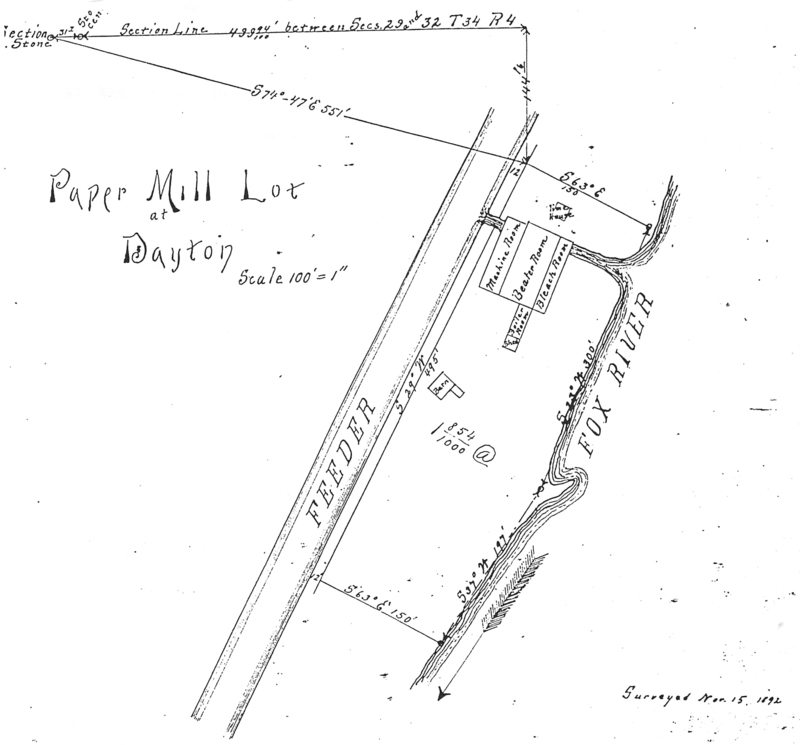 Off the beaten path of the paved road, the hamlet of Dayton at one time was one of the thriving industrial centers of the county in an age when water-power operated mills produced flour, lumber and other products. Steam power then had not penetrated Illinois, and electric power was still a century away. The electric power was there in the foaming water which poured through the mill races, but it had not been harnessed to bring light and power to any one either at the site where it was developed or many miles away. So when the pioneers came into La Salle county 115 years ago, or even before, one of the first things they sought was waterpower where a grist mill could be operated. That was the case at Dayton, where the mill on the swift Fox river at one time ground the grist for settlers for 100 miles away. It was the only water power operated mill at one time in all northern Illinois. The trade of mill wright was then an important one and the construction of dams was a necessary item of business in pioneer life. Eventually, the state of Illinois, as part of the construction of the Illinois-Michigan canal, built a dam in the Fox river at Dayton to supply water for the canal at Ottawa. The water was carried through a feeder, parts of which are still in existence in Ottawa and south of Dayton on the west bank of the Fox river. It is still state property and is in the state park system. 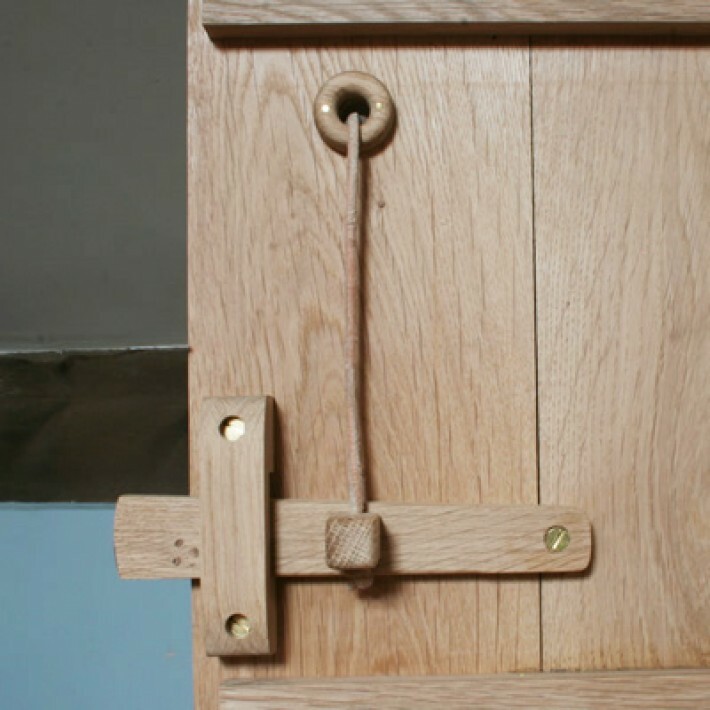 One of the flourishing industries of the hamlet was the Fox River Horse Collar Manufacturing company. The officers were John Read, president; A. F. Dunavan secretary and treasurer; John Read, A. F. Dunavan, H. B. Irey, David L. Grove and N. Brunk, directors. They were wholesale manufacturers, their advertisements sais, of the celebrated Pennypacker Horse Collar; also very good grade of horse collars and leather team nets. Woolen mills also were operating in the village, and an old county directory lists Peter Coleman as one of their spinners. The horse collar manufacturing business was first conducted by the firm of George Pennypacker and Brunk, then Dunavan became a partner and eventually sole owner with his son. An average of 12 men a day were employed in the plant which made annually 1,500 horse collars and 50 dozen fly nets besides other articles along the same line. Incidentally, if the business was still in existence, it probably would not now be turning out horse collars, but products for the army to keep men afloat after they had been shipwrecked, besides other similar items for the armed forces. The Dayton Tile Works also was a flourishing business in the hamlet along the Fox river many years ago. It was established 65 years ago by David Green for this [sic] sons, John and George Green. Eventually Charles bought the interest in his brother George. But the most important business ever set up in the village was the woolen mills. John Green in September, 1829, looked over the site of the future village and entered claim to 80 acres of land including that of the future mill site. He also purchased 160 acres in Rutland township. Two months later he was back in Dayton from his home in Ohio with his family to spend the winter. His flour mill was put into service on July 4, 1830, and Mrs. Green baked bread from the flour for their dinner the same day. His saw mill furnished the lumber to build the first frame house in Ottawa. A grist mill of one run of burrs was built in 1932 [sic] and one with four run of burrs in 1834. For the next two years his trade came from a distance of 100 miles. The mill was rebuilt in 1857 and stood for many years. John Green and his sons in 1840 built the first woolen mill to run power looms in the state of Illinois. Its business flourished for a quarter of a century and supplied wool goods in Civil War days. A new mill was built in 1864. War time financial reverses struck the firm when they bought 60,000 pounds of wool in 1864 at $1 a pound and a year later were unable to get more that 50 cents a pound for the same wool. Part of their goods in storage was destroyed in the Chicago fire of 1871 with a $15,000 loss. Settlement of financial difficulties was made through purchase of the mill by Jesse Green, who ran it from 1878 to 1882. The property then was sold to Williams and Hess, who organized a stock company to make pressed brick. John Green also had the experience of helping to build canals in two states. In Ohio he hired 200 men to build 15 miles of the Ohio canal. In Illinois he constructed two miles of the old lateral canal or feeder between Ottawa and Dayton. Hamlet though it is the village of Dayton like other small towns throughout the county is platted and the plat is on file with county officials. The platting was unique in one respect. The central section of the village in Green’s addition has First, Second, and Third Prairie streets. Other streets in the village are Jackson, Lafayette, Pendelton, O’Connell, Main, Canal, Washington and Franklin. Canal street, as one might expect, is the one closest to the lateral canal east of the village and west of the Fox river. 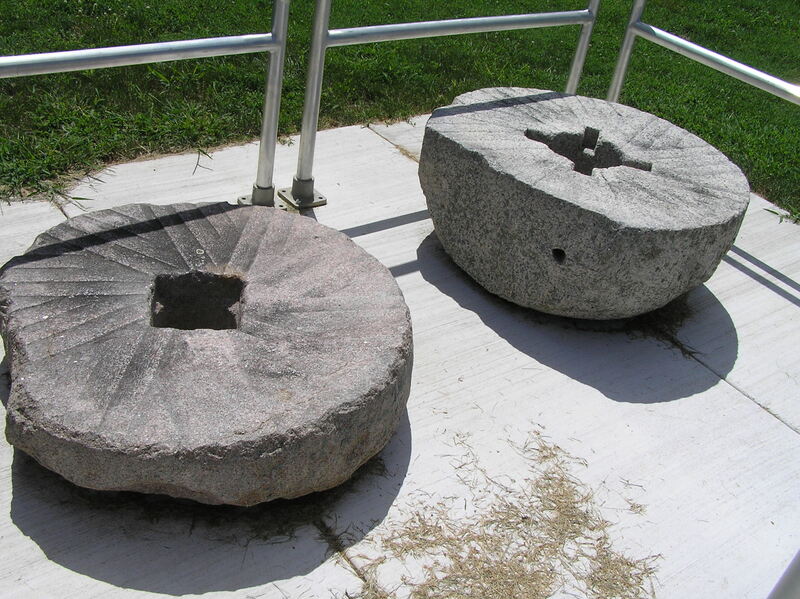 The mill stones with which John Green produced the first grist in all of northern Illinois on July 4, 1830, have not been lost to posterity. They were hauled overland, probably in an ox cart, to Indian creek north of Harding, where they were used in a mill at a settlement which was wiped out by an Indian raid on May 20, 1832. The historic stones are now in front of the small buildings in county owned Shabbona park, which houses a museum of pioneer relics. An old history of Illinois, published 80 years ago, said of Dayton, “The village of Dayton, in the township of the same name and central part of the La Salle county, situated on the west bank of the Fox river four miles above Ottawa. 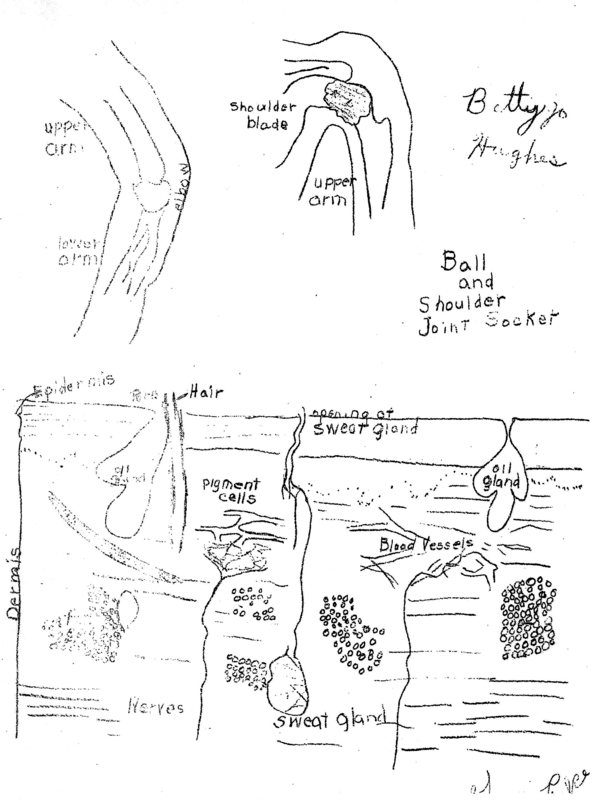 “It was settled in 1829 by John Green who carried on farming on an extensive scale. He also paid considerable attention to raising improved stock and some very superior Durham and Spanish breeds were brought here by him. “The immense and unfailing water privileges on the river at Dayton bespeak for it at no distant period a place among the leading manufacturing towns in the great west.